The matches start on the 6th September 2018. Croatia vs England -> Kick off 20:45 Local time. 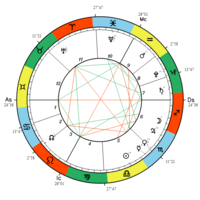 Both Mercury and Jupiter sit in the 6th house, so perhaps a quiet match to begin with. You must remember that the stadium will be empty as Croatia have a stadium ban. Mars in Aquarius off the MC may suggest the reason for their controversy. Mercury will move into the 5th house in the first half. 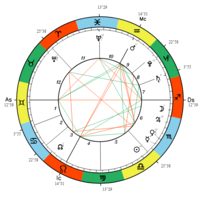 Moon/Jupiter stay in 6th house. this chart is the end of the first half. 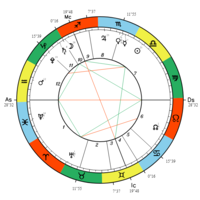 The ASC/DSC changes in the second half, with the Moon in the 6th house and Saturn in the 7th, Saturn in Capricorn is strong. Both remain in the 6th house till the end of the match. Lord of the day and hour is Venus at kickoff. 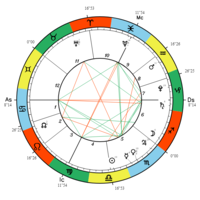 Venus in Scorpio is weak, but is retrograding back to Mercury in Scorpio. Lord of the hour moves to Mercury in the 2nd half, but no aspect. Only expecting a few goals; possible draw is likely. Game starts are 28 Aquarius, so take Saturn in Capricorn in 11th for Scotland. Portugal are Sun in Libra in 7th house. The game could contain an early goal with the ASC soon to change, and Scotland becoming Jupiter in Scorpio in 8th. Portugal are Mercury in Scorpio in 7th. Portugal are always in their own house, so the game should go Portugal's way. But no early goals, 14.10.18 during the game Moon was VOC. I wonder if that might of effected the early sign change circumstance. ASC/DSC change signifies an opportunity for a goal to be scored or change of possession. It seemed like Scotland started quite well but after about 10 minutes; Portugal took control. I'll try to be more active and predict few games with method inroduced by sven555. Please do correct and comment your opinions, that way we all learn more. Sign is changing within first 10', so i guess mixed up change in posession. First half seems quite equal as far as aspect circumstances go, not so strong in evaluating which circumstances are more important than others. ASC - DSC axe has changed from Taurus - Scorpion to Gem - Sag. Both Sat and Sun are in strong houses so thats equal. 2nd half seems quite equal also, perhaps favouring Armenia a bit more. Ruler of the Hour for second half is Jupiter L7. well, Armenia won 4-0, far away from draw. There was more circumstances favouring Armenia though. Don't worry donaqua, I liked your analysis, just the incorrect result. Judging by the Lord of the Hour's. In the first half was Saturn, where 1 goal was scored. In the second half was Jupiter, where 3 goals were scored. I think that the early ASC/DSC change brought the first goal. But after that, both planets were in the 6th house and in the same sign (Scorpio). Mercury is better in these circumstances. In the second half; Mercury moved into the 5th house; thus gaining power. Jupiter remained stuck in the 6th house. There are 7 Nations League matches today all at 19:45 GMT. One particular match is Cyprus vs Bulgaria. Kick off is at 21:45 local time. Bulgaria are deemed to be narrow favourites despite being the away team. For the entire match; the ASC doesn't change sign and neither ASC/DSC ruler move houses. Moon is moving away from a sextile to Saturn (Which I take to be Bulgaria). Now something interesting I would like to track is the second half movements. In the second half; the POF is in Taurus and the APOF is in Leo, around the 45-55 minutes; the POF sextiles the Moon and APOF hits the Ascendant. Does this mean a goal for Cyprus? Also right at the end of the match; the Sun conjuncts the IC; potential next goal? Cyprus vs Bulgaria is interesting game indeed, by the bookmaker odds they are quite equal. The majority of the circumstances still supporting Bulgaria, i guess by the end of the game Bulgaria has managed to get into lead and its a matter of drawing for Cyprus. Here come in play the uncertain aspects, lets keep an eye on them. donaqua, another game to keep an eye on is Gibraltar vs Armenia. Gibraltar are heavy underdogs; but from reading sports forums; a lot of people recognise that a shock could be on the cards. Let's see. donaqua , another game to keep an eye on is Gibraltar vs Armenia. Gibraltar are heavy underdogs; but from reading sports forums; a lot of people recognise that a shock could be on the cards. Let's see. The event chart showed a positive first half for Gibraltar (they took the lead and were drawing 1-1 at half time), but in the second Armenia dominated. The match finished 1-1 draw. Cyprus took the lead in the 24th minute; Bulgaria equalised in the 89th minute via a penalty.